Anna de Fina is Assistant Professor of Italian Language and Linguistics and Director of the Italian Language Program at Georgetown University. Her research interests focus on narrative, identity, the discourse of immigrants, code-switching and other language contact phenomena. 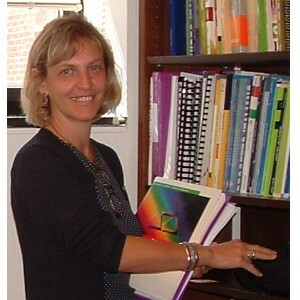 Her publications include Identity in Narrative, A Study of Immigrant Discourse (John Benjamins, 2003), Dislocations, Relocations, Narratives of Displacement, co-edited with Mike Baynham (St. Jerome, 2005) and Discourse and Identity co-edited with Deborah Schiffrin and Michael Bamberg (Cambridge University Press, 2006).